What a wonderful two weeks. I got to see the Loons, the best was watching a mother loon with her chick on her back while Poppa Loon searched for food. 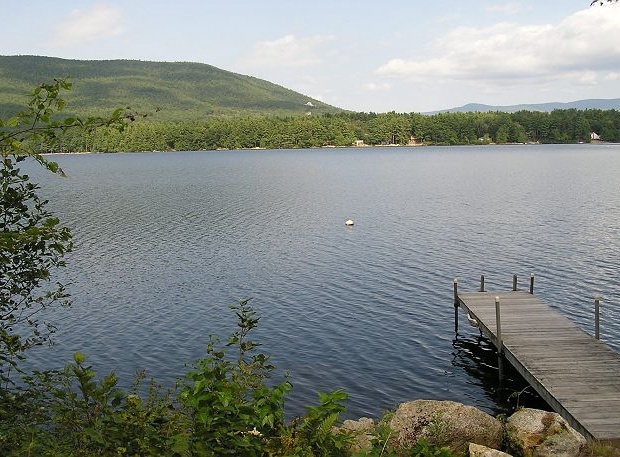 The area is peaceful with a beautiful lake with people enjoying the area and all the beauty. I have been going to this property for 22 years and will hope to continue for next year as well. 2nd year at this location – it is very nice. 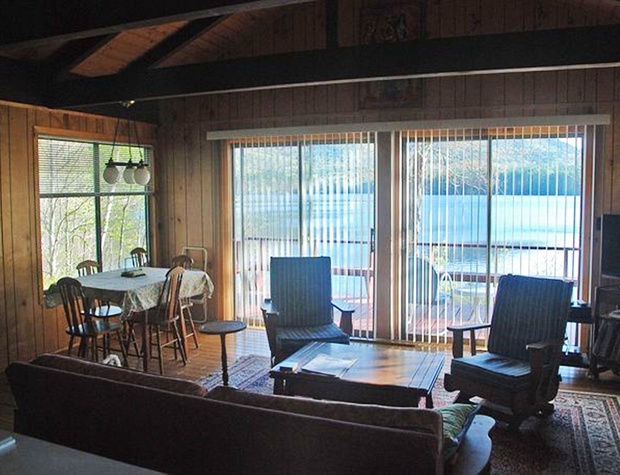 Big deck with view of lake, including patio table/chairs. Swim from raft or use canoe (although the seats are rotted out and we had asked for them to be repaired before we rented again). 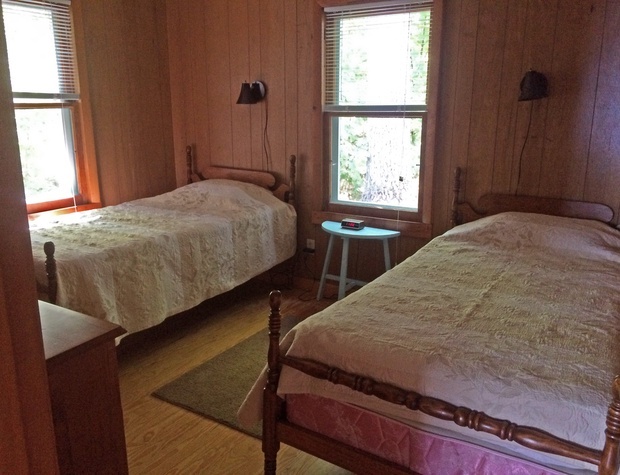 3 nice bedrooms, one full bath, one powder room. 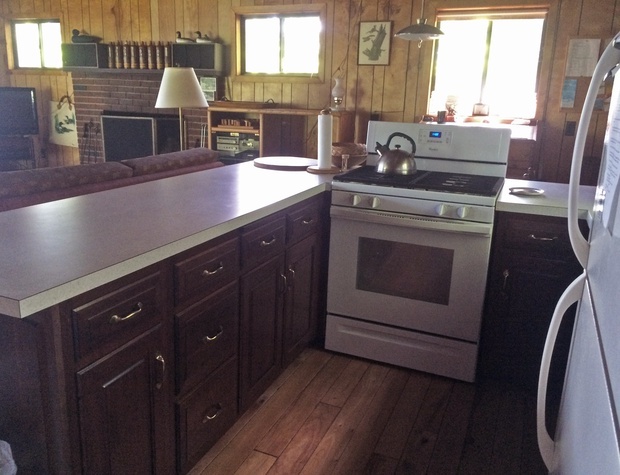 Open kitchen/living/dining; unfortunately, the upholstered furniture all has strong dog odor. Quiet neighborhood, good for jogging/walking. Really a lovely spot and very clean, except for dog smell. Cable did not work upon arrival; had to contact realtor and work with owner to have service restored by provider next day. Overall a fun stay. Very professional staff who manage and provide expert service for ideas of local fun and desired areas. Loons on the lake make a special treat for me, I love seeing them. Nice and peaceful. This year was my 21st year and I plan to come back next summer as well. Thanks everyone for your wonderful service! This was our first time in this cottage. The view of the lake was delightful. Amenities such as quantity of dishes & cooking utensils were great. When needed the heater was quickly available. We were sad the dock was unusable since it wobbled so much at the end we could barely get off without falling in the water! No matter, we had a great time. Bayside Rentals has always been superb for us. Perfect older, rustic cabin for a family retreat. 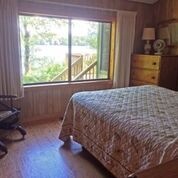 Great views of the lake, nice combination kitchen/dining/living area, comfortable beds, quiet neighbors and lots of privacy. 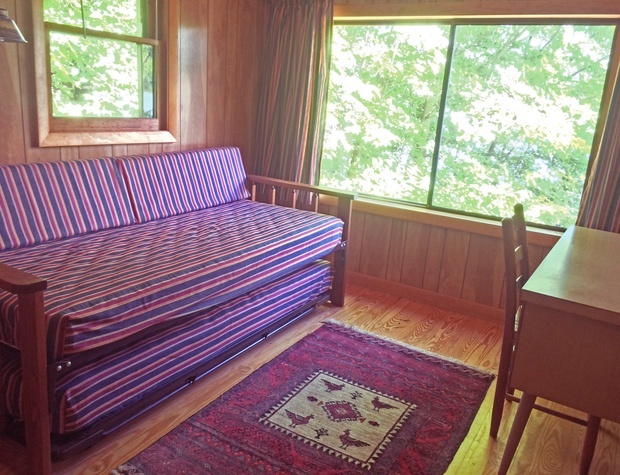 The only downside was the fairly strong dog odor in the house, which improved over time as the windows were left open for the duration of our stay. 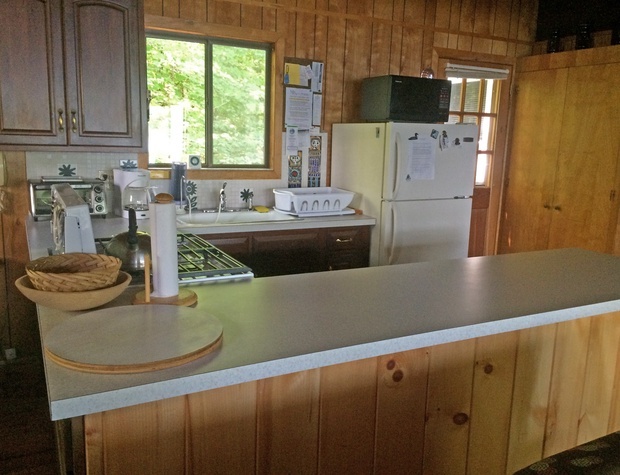 Overall condition was very good (with a few minor exceptions) and the house was very clean upon arrival. We hope to return in the next summer or two! What a beautiful little cabin this is! 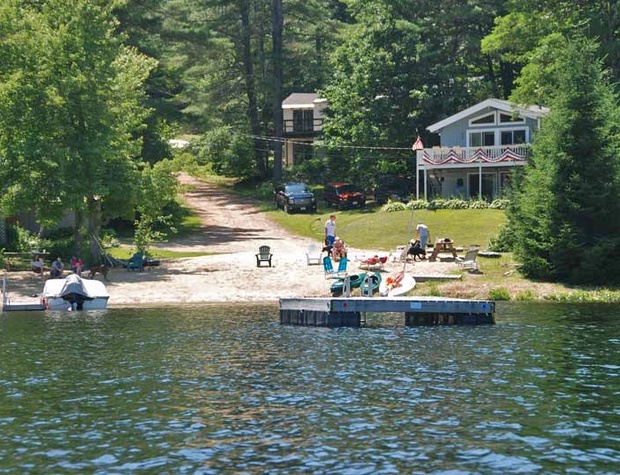 Located on a tranquil, quiet lake it is the perfect getaway spot to relax. House was adorable, great deck too! 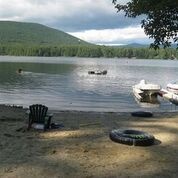 DOck to swim from or boat from, dog friendly and central location close to all you need. We are most definitly booking again! Bayside was a dream to work with as well. Always a great experience, staff from Bayside very helpful and keep in touch to assure everything is going well. We really liked the house and the lake. We went swimming every day. The house was clean and comfortable.